Want to lose fat and get fit AF but you're not able to make it to the gym as much as you'd like? Between working long hours, social commitments, tending to your relationships, doing other fun things and generally living your best life... it's hard to work out as much as we'd like. For most of us, getting into the gym 2-3 times each week is all we got with our busy schedules. And there's NOTHING wrong with that. And if you're able to be consistent with that you're doing GREAT! But what about the other days of the week? And what if we want MORE results? We get that it's hard to find the hours and even minutes in the day to possibly add one more thing to your daily routine. But if you want to work a little harder to get results then workout frequency will surely help. If you're going to the gym we recommend weight training for at least 1-2 60min sessions each week. This is surely where you'll get the most bang for your buck from both a physique and health perspective. Beyond that you can include metabolic resistance training like our classes here at AMP Fitness (or any bootcamp-type class), conditioning classes like spin, or really anything that gets you moving. If you're training at home, on the road or weight training just isn't your jam it's going to be a bit trickier but not impossible. And if you're crunched for time, you can get in A LOT of good work in as little as 10 minutes. Seriously! You just have to be efficient with your exercise selection. The Best Exercise For Fat Loss? If you ask enough people what the best exercise for fat loss is you'll inevitably have at least a few throw burpees in the ring. Yup, the exercise that everybody loves to hate. They are as inefficient a move for the human body as it gets. You're up, you're down, you jump, you crawl and your whole body is involved. Your heart will start pounding, you'll sweat, there will be a lot of heavy panting, and maybe some crying. The problem is that once you get tired, they're hard to control and technique breaks down. And who wants to do burpees for a whole 10 minutes? I'd like to meet this person and shake his hand. So what if I told you that you can have the same effect (but less torturous) by just combining the main components? Would you take the red pill and keep doing burpees? Or would you take the blue pill, get better results, and I'll show you how deep the rabbit hole goes? "So what are the components of the burpee that you speak of?" You're going to get an explosive component, a strength component, and a core/ground based component. And the beauty of adding these three things together is you're getting different energy systems working in your body. That's what makes it so inefficient and that is what leads to better fat loss. Just a little bit of each is all it takes! This would be the jumping and hopping part of the burpee. We like to include this first in the recipe since it's the most demanding for your body and the beginning of the set is where you're most refreshed. Safety first, kids! Burpees are a full body exercise so for our intents and purposes you can plug in any full-body strength exercise you like either body weight or with resistance. Getting down to the floor and back up quickly for an adult is a LOT of work. Just doing that multiple times is enough to get your heart rate up. Do it when you're already tired? Magic. Your options with this combination are nearly limitless since you can create tons of different workouts using various exercises and set/rep schemes. To help you get started, I put together 3 workouts you can finish in about 10 minutes for different ability levels. Choose one exercise from each section and perform 5 rounds. The first round is 5 reps of each, then 4, then 3, etc. After you complete one round, rest for 1-2min and repeat for 2-5 total sets. Set a timer for 10 minutes. Choose one exercise from each section and perform 5 reps of each back to back and continue for time resting only as needed. This one is brought to you by legendary strength coach, Dan John. You're going to do 5 rounds and counting down only 2 of the exercises. Its 15 swings, 5 goblet squats and 5 push ups. Then 15 swings, 4 goblet squats and 4 push ups. Then 15 swings, 3 goblet squats...you get the idea. Once you finish you can rest for 3-5minutes and repeat a 2nd round. Choose ONE of these workouts that is appropriate to your fitness level (or create your own!) and implement it into your weekly routine for 4 weeks. That's it! 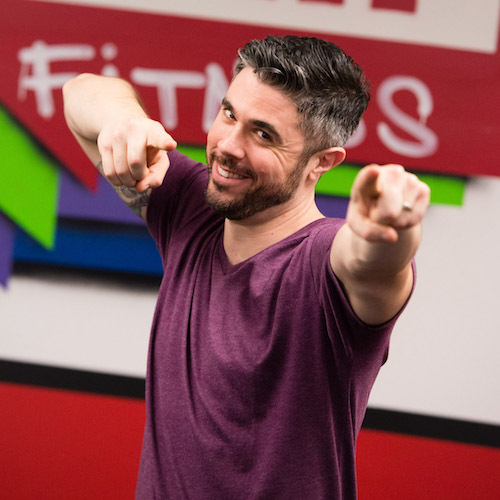 Want to join a community that makes fitness fun and provides expert coaching? Sign up for your FREE Strategy Session!